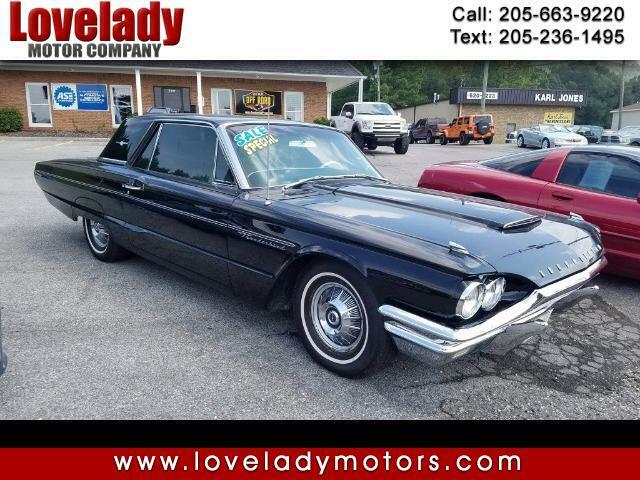 Used 1964 Ford Thunderbird for Sale in Pelham AL 35124 Lovelady Motor Company, Inc.
Up for sale is a great American Classic. A 1964 Ford Thunderbird! This car is a really nice example of how cars are meant to be made, nice luxurious front bucket seats, soft riding suspension, power windows, A/C (A/C works but the blower motor recently went out, we have not replaced it yet), large trunk space and more. This vehicle was bought new in Alabama. No rust. Cars in this condition are hard to find! Call Keith or Stephen for more information. Visit Lovelady Motor Company, Inc. online at www.loveladymotors.com to see more pictures of this vehicle or call us at 205-663-9220 today to schedule your test drive.